Air velocity can be calculated with the calculator below. Add air volume - q - and diameter - d - (or length a and b). The chart below can be used to estimate velocities in air ducts. The default values are for air flow 400 cfm (680 m3/h), duct size 8 in (200 mm) and velocity 1150 fpm (5.8 m/s). 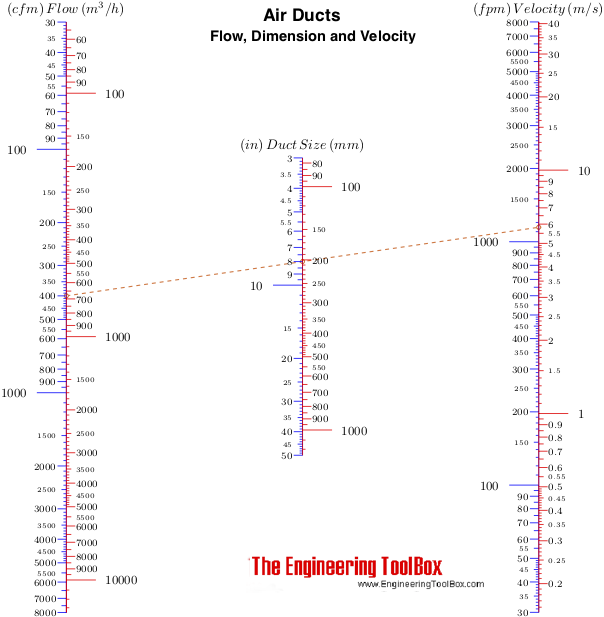 Download and print Air Ducts - Velocity Diagram! Engineering ToolBox, (2005). Duct Velocity. 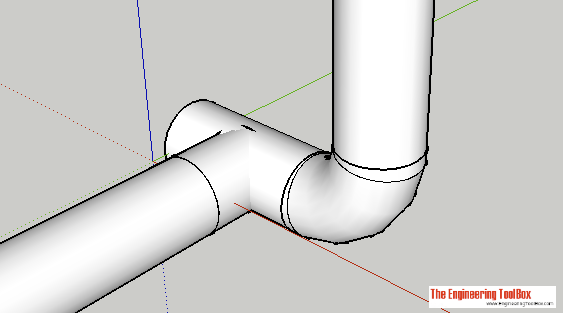 [online] Available at: https://www.engineeringtoolbox.com/ductwork-equations-d_883.html [Accessed Day Mo. Year].